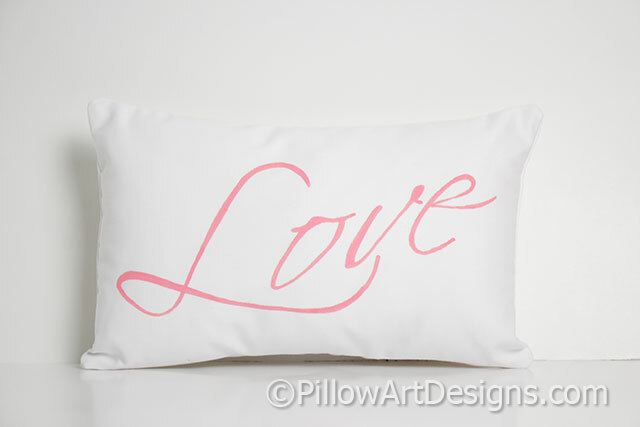 White cotton mini pillow with the word Love hand painted in script across the front. 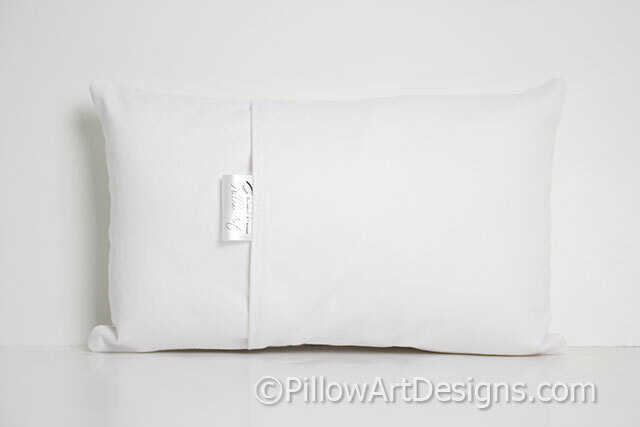 Pillow measures 8 X 12 inches, comes stuffed with hi loft fiberfill, no need for an insert. 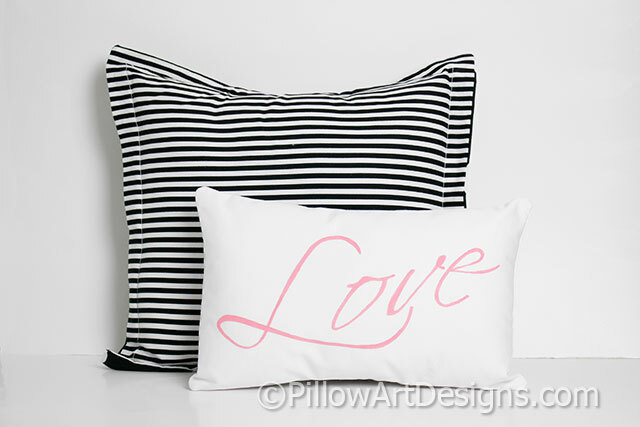 Hand painted with quality non-toxic fabric paint.